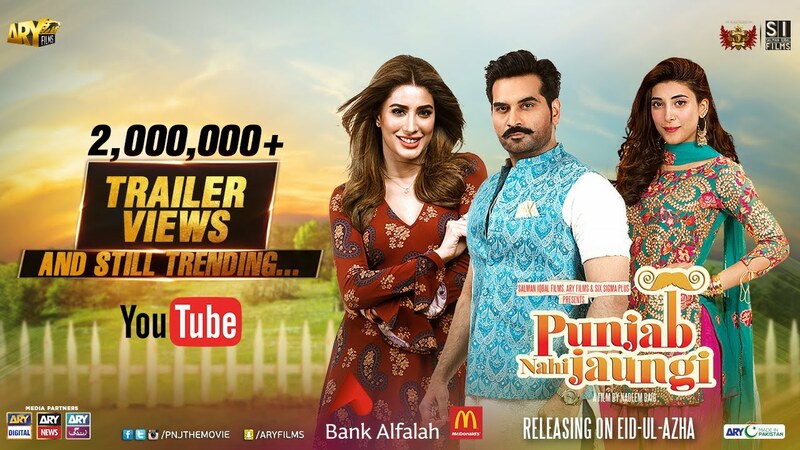 Punjab Nahi Jaungi has taken flying start in UK on Friday, Thursday previews numbers had suggested big numbers on Friday but it has exceeded expectations as it has collected 72,000/- Pounds approx on Friday which is more than three times numbers of Baadshaho on Friday. Numbers are something that is never seen before for Pakistani films and Weekend might reach 250,000/- Pounds which will be excellent result. Film's numbers in UK on Friday are more than film's domestic numbers which has never happened for a Urdu film. Talking of records numbers are biggest day one of All Time In UK for Pakistani film and it will shatter overseas record by big margin. BIN Roye still holds biggest overseas start record for Urdu films and this film will break that record with big margin. Film is heading toward a Weekend of over 3 Crore PKR in UK and Bin Roye had collected in region of 4.5 Crore PKR over it's opening Weekend in all overseas markets.. Film's day one numbers in UK are almost in same region as 10 days numbers of Ho Mann Jahaan in UK.